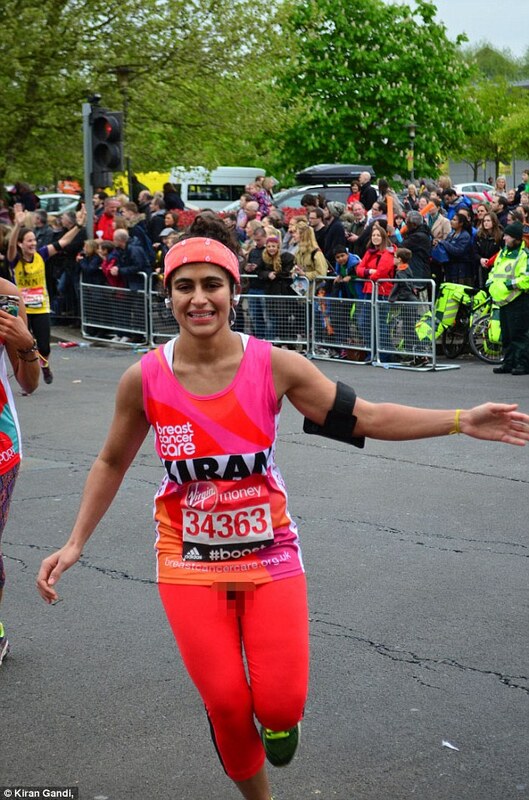 Kiran Gandhi got her period the night before her first time running the London marathon (or any marathon for that matter). She thought the idea of running 26.2 miles with “a wad of cotton material wedged between my legs just seemed so absurd,” she wrote on her blog. 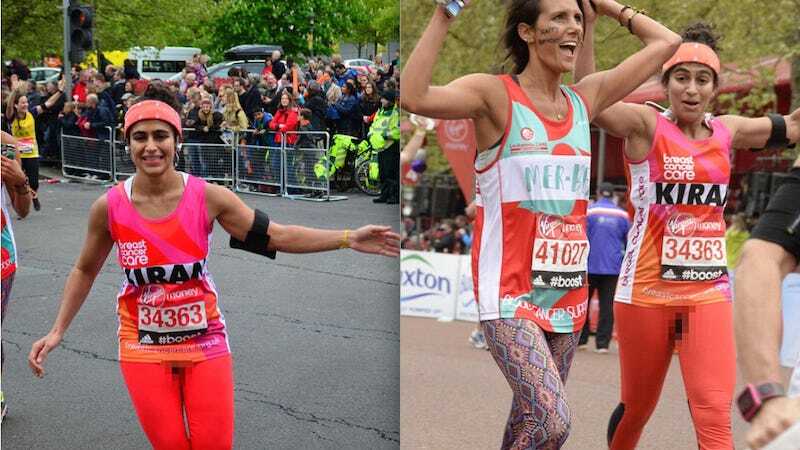 My solution: don’t run a marathon on your period or, ideally, ever. Her solution: forgo a tampon and turn it into a statement. UK tabloid Daily Mail’s women’s issues channel Femail responded by publishing her story with an enlightening roundup of Twitter responses, but also made the baffling decision to pixelate her period stains. This is the most beautiful little gem of hypocrisy; I want to put it on a necklace and wear it every day. The Daily Mail has since replaced the photos with unpixelated versions after someone undoubtedly advised an editor that censoring the inoffensive blood of someone attempting to make a statement about period-shaming is probably a little too stupid, even for them. However, the photos (featured above) are still available on the Daily Mail server here and here. The publication has not yet responded to Jezebel’s request for comment. Image courtesy Daily Mail/Kiran Gandhi.